Meghan is part of the team at UCHC, a 501(c)3 nonprofit organization, which provides comprehensive housing assistance to Detroit’s low-income residents. 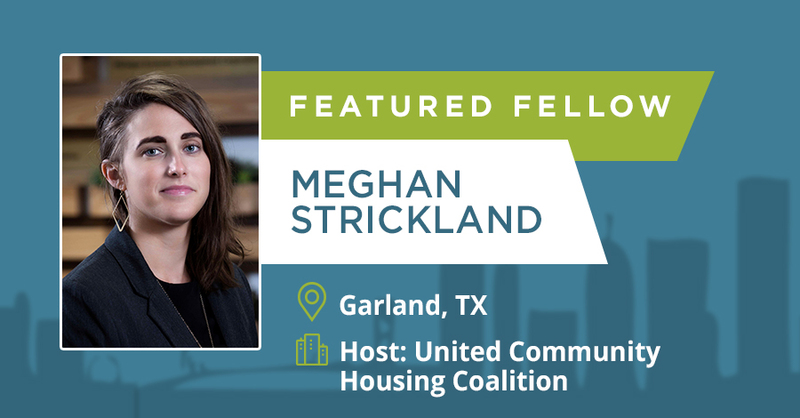 University of Texas Alum, Meghan Strickland is a 2018-2019 Challenge Detroit Fellow. She lives and works in the city of Detroit. Her host company is United Community Housing Coalition (UCHC), a long-standing non-profit in the city. She works with homeowners and tenants as a tax foreclosure prevention counselor. Meghan hopes to gain skills and insights through her fellowship year that she can use to make a meaningful and lasting impact in her community. Do you know someone as passionate about helping communities as Meghan? Nominate a leader today to be considered for the 2019-2020 Challenge Detroit program!